Die letzten Stunden des Kickstarters von Reclusive Phoenix laufen. Welcome to the second Slumbering Oblivion Kickstarter! This will be a straight forward project with 3 kits to choose from. These are all completed sculpts and have been moulded. 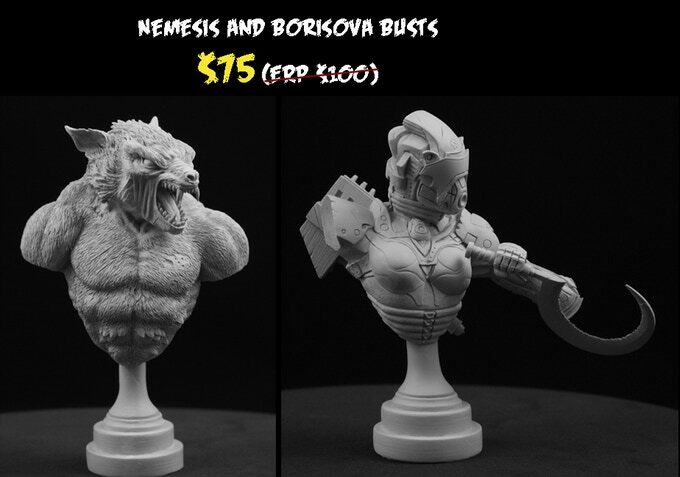 This Kickstarter will be raising funds to get them cast into resin copies. 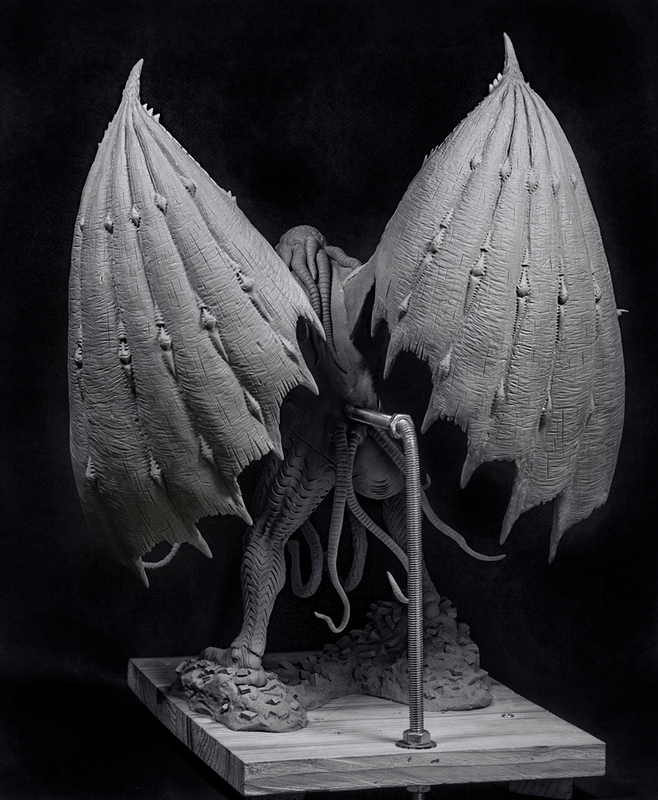 In this Kickstarter I want to introduce my version of Cthulhu. I’ve seen many different sculpts and statues but none have ever met my personal vision. Some were close but most fell short. So I went about finding some talented artists so I could get my version created. It was over a year in the making but it is done! 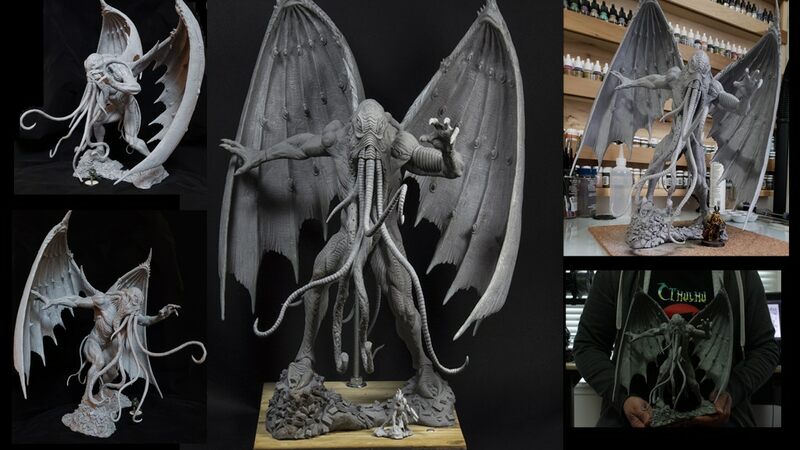 Now, if you’re going to create Cthulhu you have to go big and this sculpture is huge! It comes in at 380mm (just under 15″) from the base to the tip of the wings. Here’s a picture with one of my 32mm miniatures from the last Kickstarter. 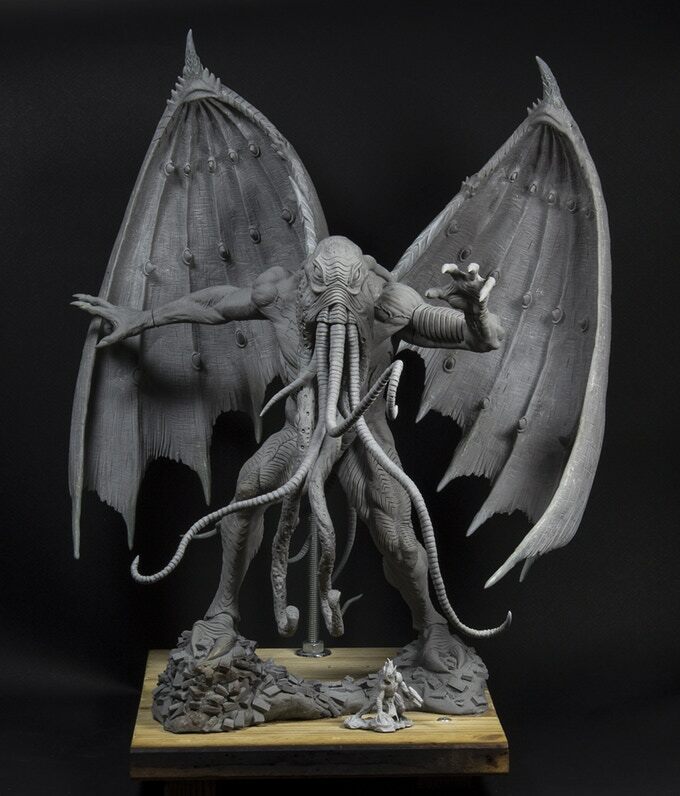 As you can see Cthulhu towers above normal miniatures. 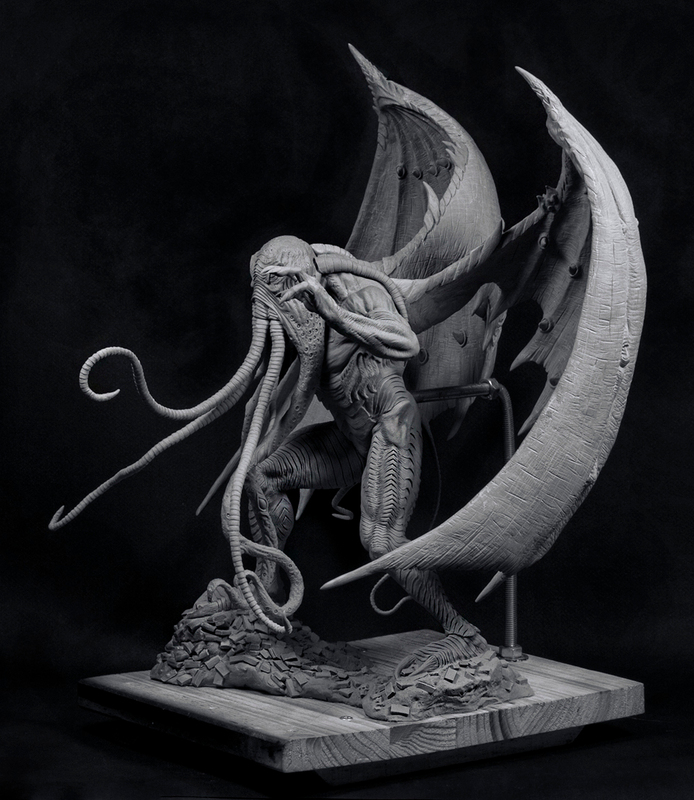 It is an imposing figure and will sit proudly in any Cthulhu or Lovecraft collection. The Avatar was sculpted by Roberto Chaudon based on concept art by Danny Cruz. This is a statue that is dynamic and full of detail. 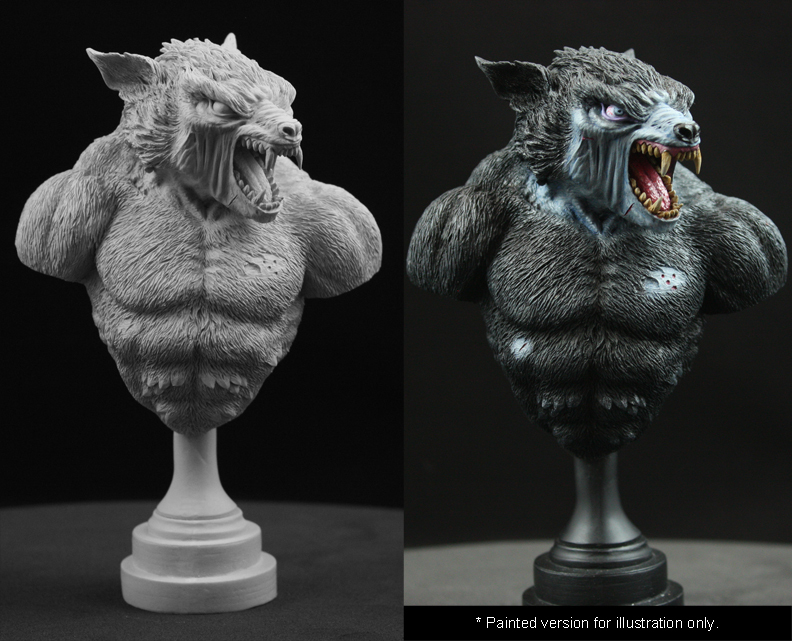 It is being produced in resin by Mierce Miniatures who are known for their quality casts. If you were part of my first Kickstarter then you will recognize all the same players and will know what to expect in the end product. These are NOT mass produced plastic statues. They are hand cast resin. 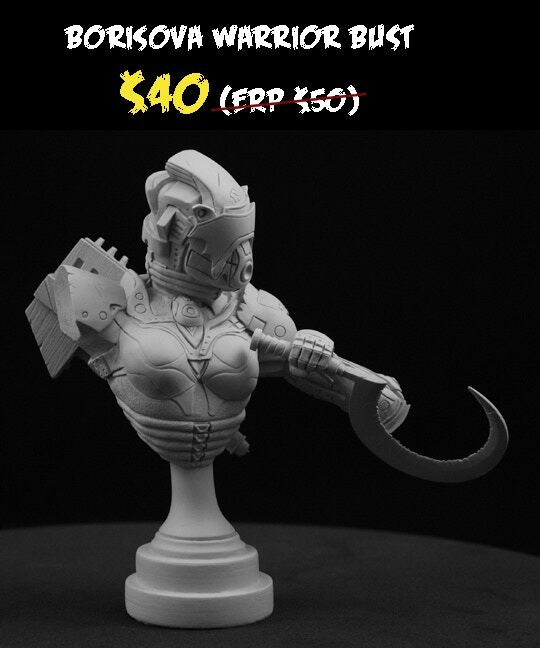 They come as an unpainted resin kit and the statue will need to be assembled. It will come in about 22 pieces, however it is not a difficult assembly. 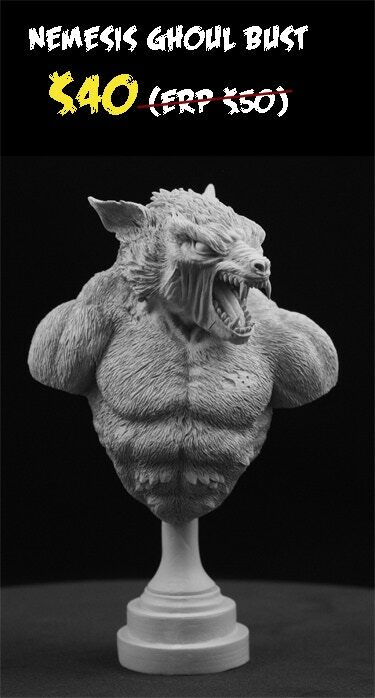 That being said, it is recommended you have some familiarity with assembling resin models before attempting this. The fit and finish are great but as with all resin models some clean up and gap filling may be necessary. Here are some additional views so you can get the full effect of the pose and artwork. Click on the picture for larger images. 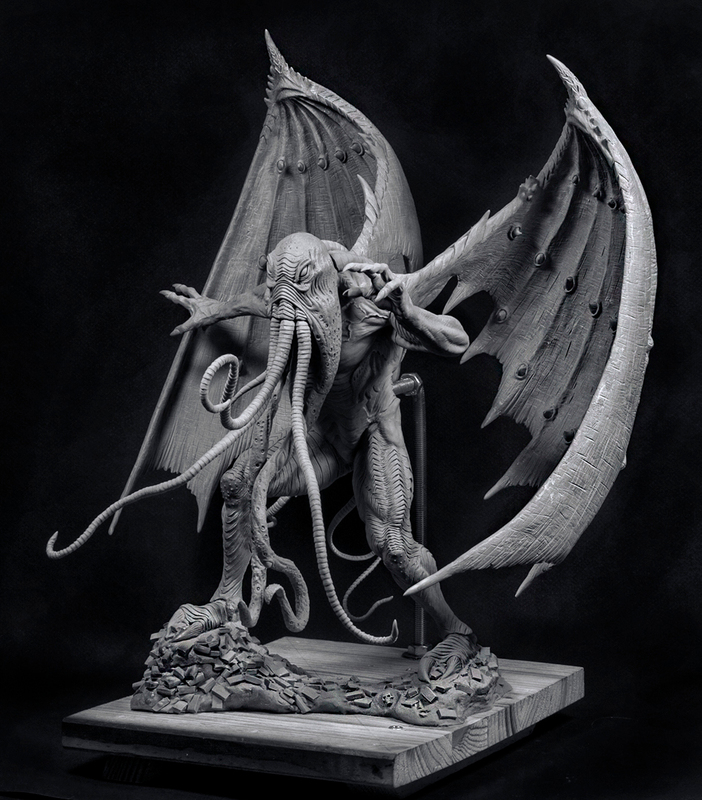 So if you are a fan of Cthulhu this would be a unique centerpiece to your collection. 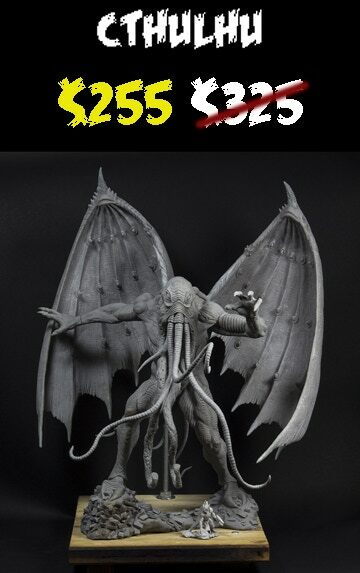 Or if you know someone who is a big Cthulhu fan it would make an awesome gift. These have never been available before and will not be available at this price again! 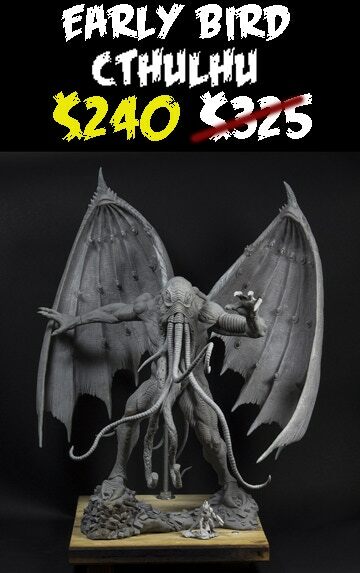 In addition to the mighty Avatar of Cthulhu I am also releasing a couple of busts as part of this Kickstarter. These are of characters who play important roles in the lore of Slumbering Oblivion. And they also happen to make some pretty cool looking sculpts that you can paint up. Nemesis is a Ghoul of remarkable intellect and talent. It is a pack leader and responsible for running covert operations and sneak attacks on the humans. Like all Ghouls, it has an innate ability to become almost invisible when it wants. But an invisible Ghoul would not make a very interesting sculpture so instead I present Nemesis in all its visible glory. It stands 5.5″/140mm from the base to the top of his head. This is a kit and comes unpainted and unassembled.It’s an imposing figure to be sure and a whole lot of fun to paint. The figure comes unpainted but I have included an image of one I’ve painted to help give an idea of what it looks like with some color. One of the central characters in the Slumbering Oblivion lore is Commander Borisova. She is a GECS (Genetically Engineered Cybernetic Soldier) and is part of the Interdiction and Rapid Engagement force, IRE for short. What makes her so special? Well, I can’t get into that here but if you want a little background on her check out the short story comic from the last KS. (A Simple Mission) She is a badass and also makes for an amazing sculpt. She stands 5″/128mm from the base to the top of her helmet. This is a kit and comes unpainted and unassembled. And if you want to get a little idea of what she can look like painted up here is one I was able to do as part of my personal collection. Leider eine der schlechtesten Chtuhlu umsetzungen, zu große flügel und ein viel zu schlanker körper. Naja den Noobs wird es shcon gefallen. 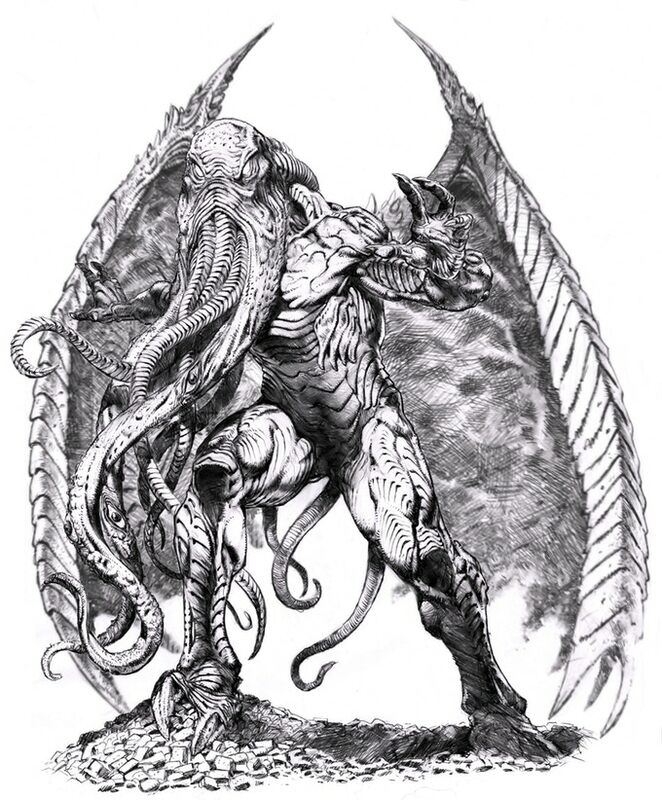 Mir gefällt aber auch eigentlich jeder Cthulhu, bin wahrscheinlich wirklich ein ‚Noob‘. Najaaa, is Geschmackssache, mir gefällt der jetzt überhaupt nicht. Da fehlt eindeutig die Korpulenz. 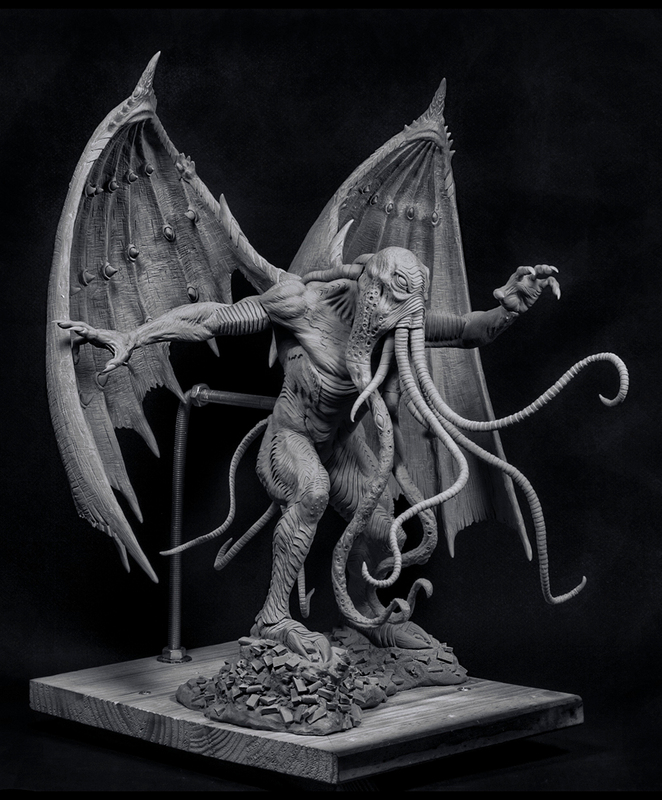 Der coolste Cthulhu ever ist der von Wizkids Horrorclix, and den kam noch keiner ran.